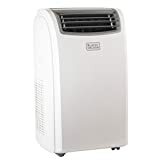 Portable Air Conditioner Rental: What You Should Know • The Air Geeks, reviews of air conditioners, dehumidifiers and air purifiers. A portable air conditioner is a self-contained air cooling solution that does not require permanent installation. It is designed for cooling a single room, but you can move it from one room to another with ease. Just like most types of air conditioning systems, a portable system uses a refrigerant to extract heat from the air in your room. The extracted heat is exhausted from your house to the outside in form of hot air through a venting system. 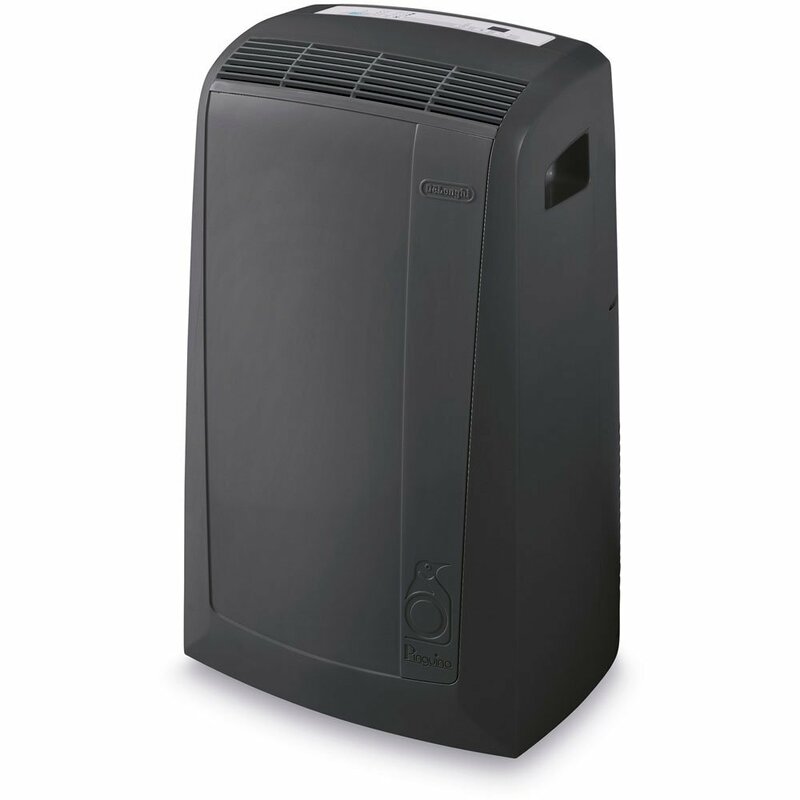 Portable air conditioners are available in a variety of capacities. The higher the BTU rating, the more powerful an air conditioning system is. When selecting a cooling solution for your home or office, you should consider the square footage recommendations provided by the manufacturer as well as the conditions of your room. These mobile cooling systems are suitable for a wide range of applications. A portable system is a suitable choice for spaces where you cannot install a window air conditioning system, ductless mini-split air conditioner, or a central air conditioning system. Portable systems are widely used for cooling homes, offices, server rooms, tents, boats, and cabins. Since these systems do not require permanent installation, you can order one and set it up within a short time. Alternatively, you can get them from companies that offer portable air conditioner rental equipment and services. Portable air conditioning systems are widely used in weddings, corporate events, parties, sporting events and so on for cooling enclosed spaces that do not have central air conditioning systems. Whether you want to cool a tent or provide additional cooling in your guest room, a portable system offers the flexibility required for such uses. In case you are looking for air conditioning systems for temporary cooling, then it is more economical to engage a company that offers portable air conditioner rental equipment and services. Unlike central or window air conditioning units, a portable system allows you to move it from one position to another with ease. You can set up this unit in less than half an hour and it is ready to cool your space. Furthermore, a portable air conditioner is cheaper and consumes less energy as compared to a central air conditioning unit. This means that you can power several units using an alternative source of power such as a generator if you are in a place that is not connected to the grid. On the flip side, a portable unit offers less cooling capacity, and it is unsuitable for cooling multiple zones. When planning your wedding, party, or any other event, it is important to consider the comfort of your guests. As such, you should consider many factors when selecting a company to provide cooling systems. Although there are many companies that offer portable air conditioner rental services, you should make sure that you select one that is capable of ensuring that the environment is suitable for your guests. Unfavorable environment can drive your guests away and make your event less enjoyable. Below are some of the key factors that you should consider when hiring portable air conditioners for your wedding party, sporting event, or corporate event. A portable air conditioner has a compressor and a fan. These two components produce sound when an air conditioner is running. The amount of noise produced by an air conditioning unit mainly depends on the speed at which it is running, its capacity, and its design. Although most air conditioners produce sound, some are optimized to run quietly while others are noisier. If you are looking for a cooling solution for your event, then you should avoid noisy air conditioners. 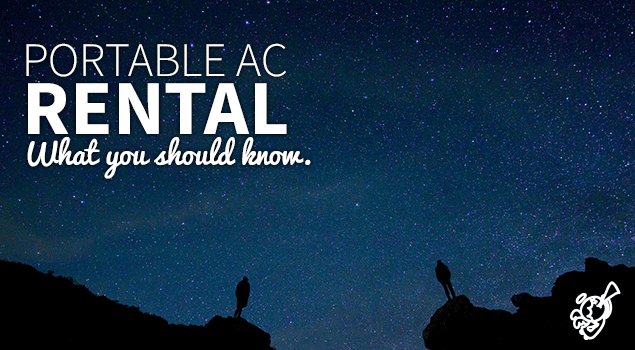 Loud ACs can make it difficult for your guests to concentrate or have conversations. It is important to enquire this from the portable air conditioner rental company and specify what you expect. The cost is one the most important factors that you should consider when selecting a company to provide portable air conditioner rental equipment and services. You should discuss this in details to avoid unexpected charges when the company has already delivered the services. It is also important to discuss and understand what you will be getting from the company for the price you will pay. Portable air conditioners come in different sizes. Some are compact whereas others are bulky. In case you are planning to have the portable systems in tents or small rooms, then you should avoid bulky units. Although most high capacity portable air conditioners are large in size, it is possible to get compact units that deliver the same capacity. To ensure that the portable air conditioner rental company does not bring space demanding units, you should specify that you have limited space in advance. The cooling capacity of air conditioner is given in BTU ratings. High capacity units have high BTU ratings while low capacity units have low BTU ratings. For maximum effectiveness, the size of your space should match with the BTU rating of your air conditioner. Manufacturers provide square footage recommendations to help you to select a unit that is suitable for your space. In some cases, you may need to select a unit that has a slightly higher capacity than the one recommended by the manufacturer. To enable the air conditioner rental company to provide you with suitable units, you should specify the size of your space. Other factors that you should consider include direct exposure to sunlight and concentration of people. Most portable air conditioners come with an easy to install venting kit. It is critical to consider how you will set up the units before hiring them. It is advisable to avoid air conditioning units that are difficult to install and operate.